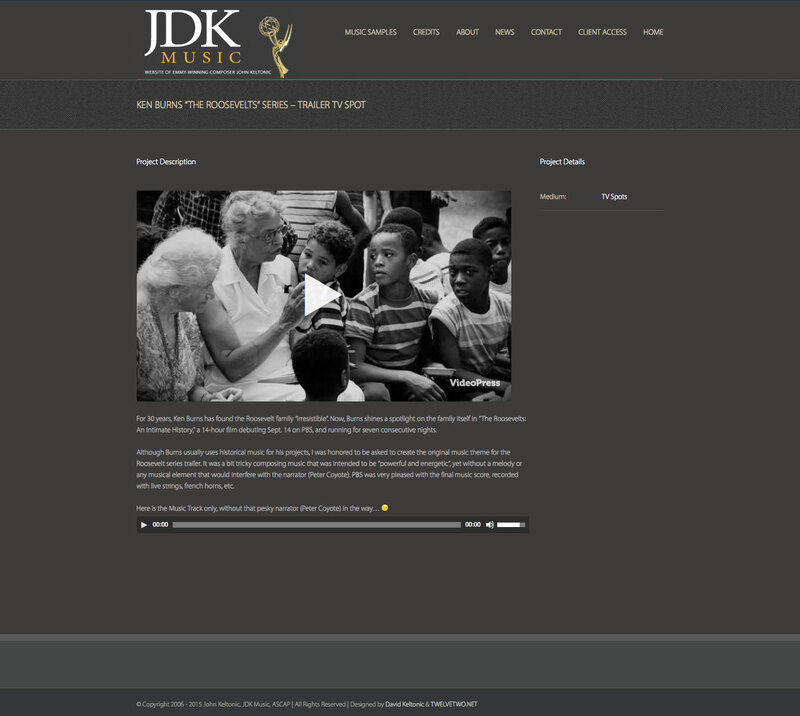 In 2014, TWELVETWO was honored to re-design the site of Emmy-winning composer, John Keltonic. 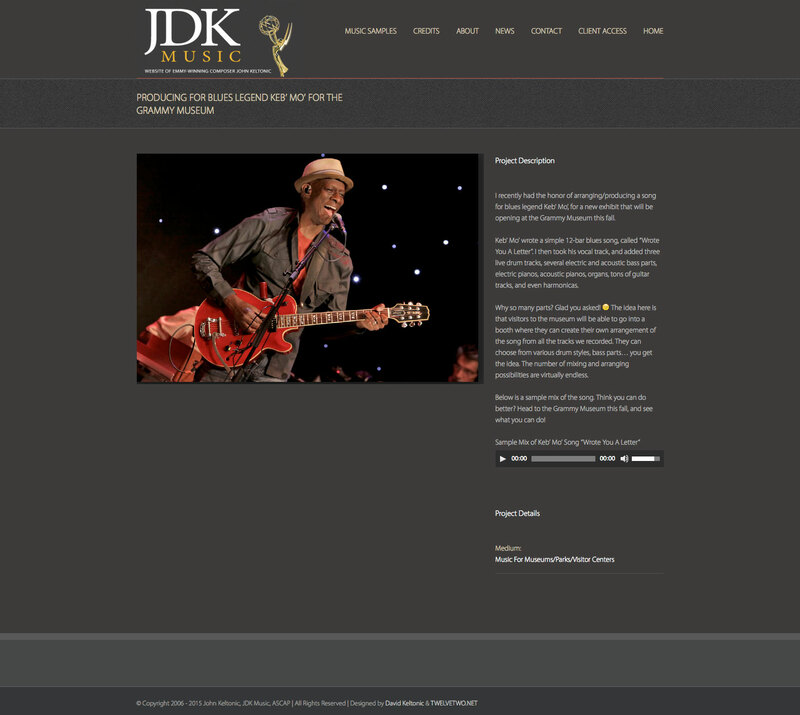 Site requirements included: very fast HD streaming video playable on all devices, presentation of over 300 audio and video samples filterable by genre, project, and medium, blog, and password-protected client space. 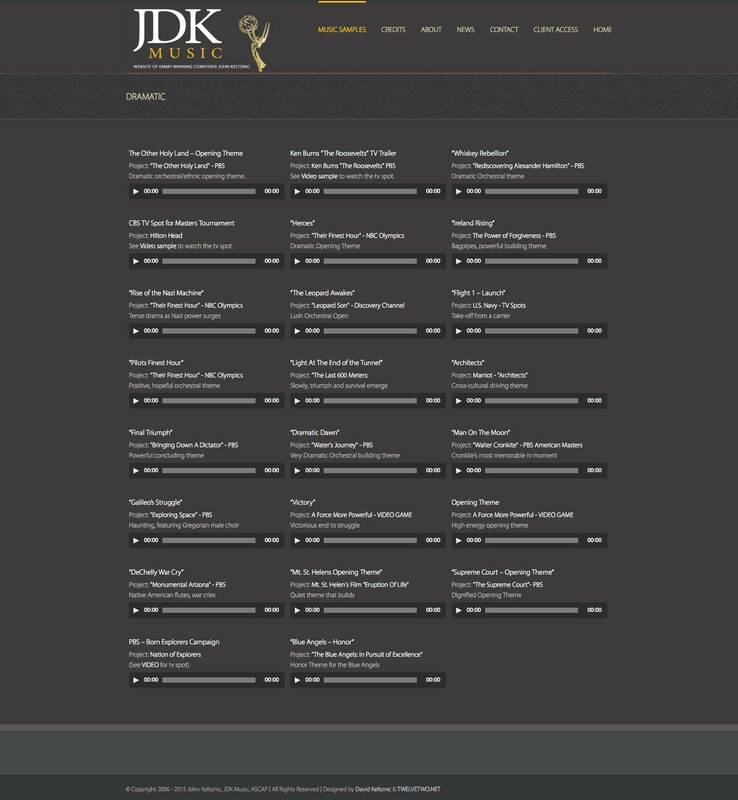 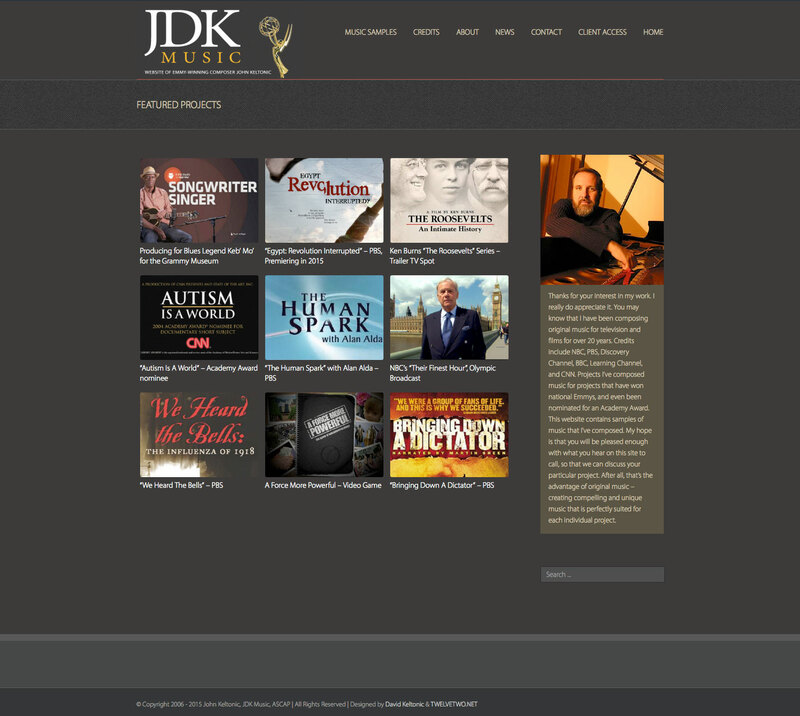 We’re proud of the results and the ability to call JDK Music our client.